The purpose of this book is to review the basic science and clinical findings concerning maternal substance abuse and the developing nervous system of unborn children. The short-term but vitally significant repercussions of such exposure on biological development, with particular reference to the nervous system, are discussed. 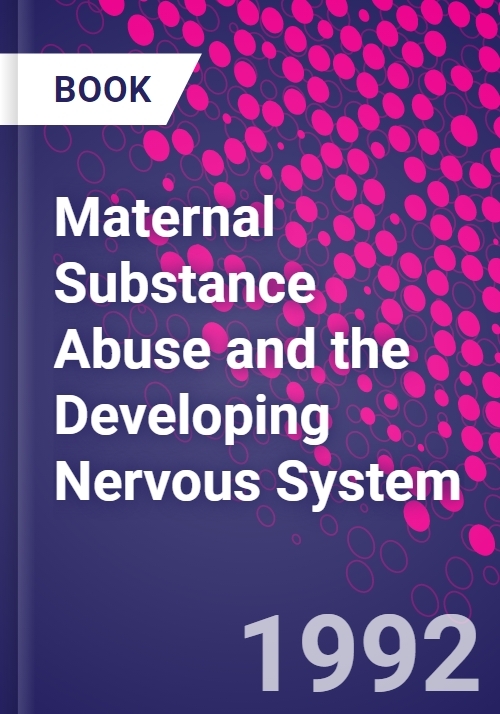 The book also discusses the profound influence of maternal substance abuse on behavior in adulthood, which is caused by subtle changes in the chemistry or structure of the developing nervous system. The subject will not only be of interest to clinical and basic science researchers and teachers in the field of maternal substance abuse, but also to individuals in psychology, social work, cellular and molecular biolgoy, embryology, neuroscience, pharmacology, and in clinical professions such as pediatrics, neonatology, and obstetrics. The breadth of topics covered includes alcohol, cocaine, opiates, nicotine, benzodiazepines, marijuana, and the role of stress and hormones. Emphasis is placed on the relationship of the effects of substance abuse on neurotrophic factors and receptors. Can We Learn from Animal Models?B. Zuckerman and D.A. Frank, Prenatal Cocaine and Marijuana Exposure: Research and Clinical Implications.L.P. Spear and C.J. Heyser, Cocaine and the Developing Nervous System: Laboratory Findings.S.L. Hans, Maternal Opioid Drug Use and Child Development.H.H. Szeto and P.Y. Cheng, Effects of Opiates on the Physiology of the Fetal Nervous System.I.S. Zagon and P.J. McLaughlin, Maternal Exposure to Opioids and the Developing Nervous System: Laboratory Findings.C.K. Kellogg, Benzodiazepines and the Developing Nervous System: Laboratory Findings and Clinical Implications.A.C. Segarra and B.S. McEwen, The Analysis of Drug Effects Upon Sexual Differentiation of the Brain: The Role of Stress and Hormones in Drug Actions.